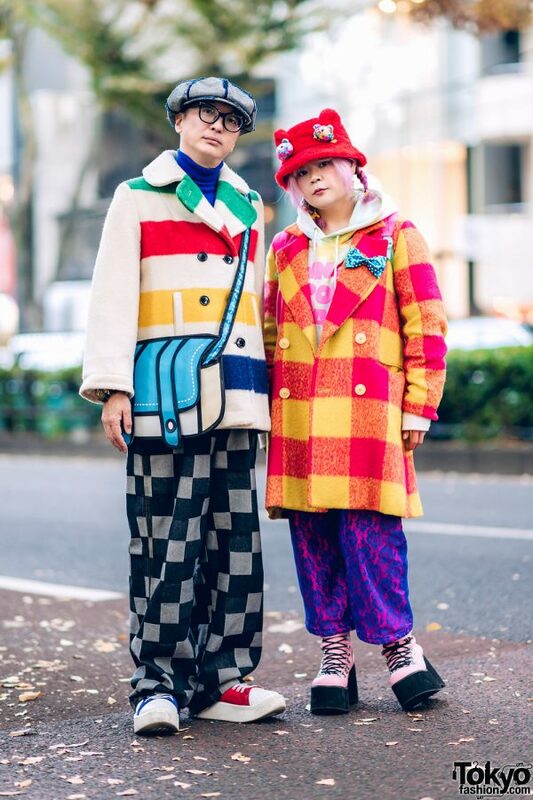 Once again we spotted Masao and Takako, the Japanese duo popular for their colorful couple streetwear fashion in Harajuku. 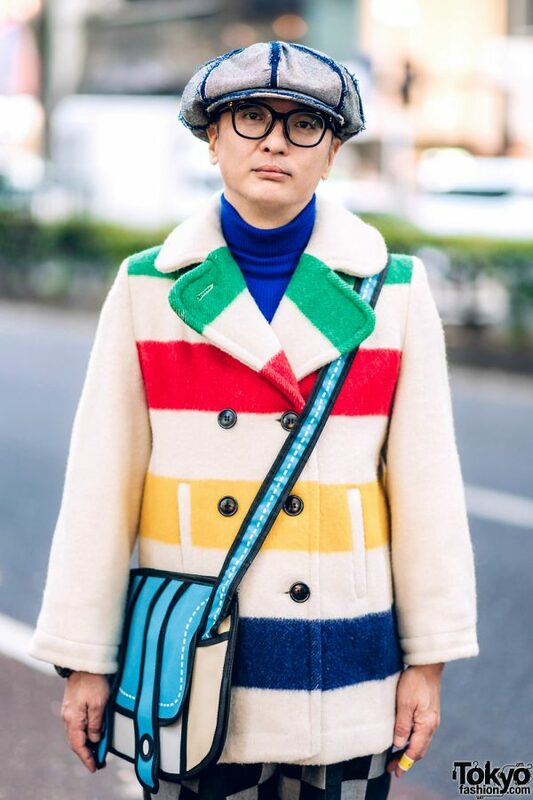 At the left is Masao, who is dressed in a white Hudson Bay shearling coat with colorful stripes from Punk Cake, which he styled with a resale blue turtleneck sweater and a pair of resale black-and-grey checkered pants. 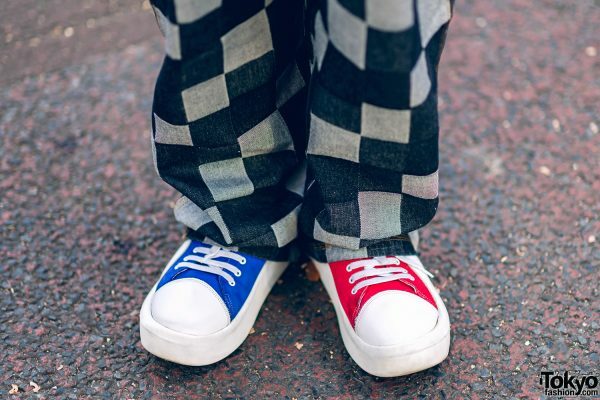 He slipped into mismatched blue-and-red Tokyo Bopper sneakers, and accessorized with a resale distressed denim newsboy cap. 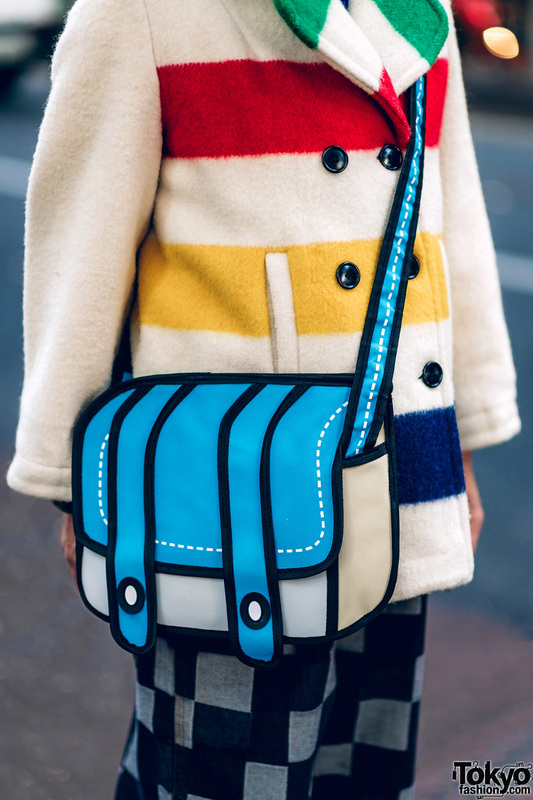 In addition, Masao is sporting a cute 2D crossbody bag. Follow Masao on Twitter and Instagram. 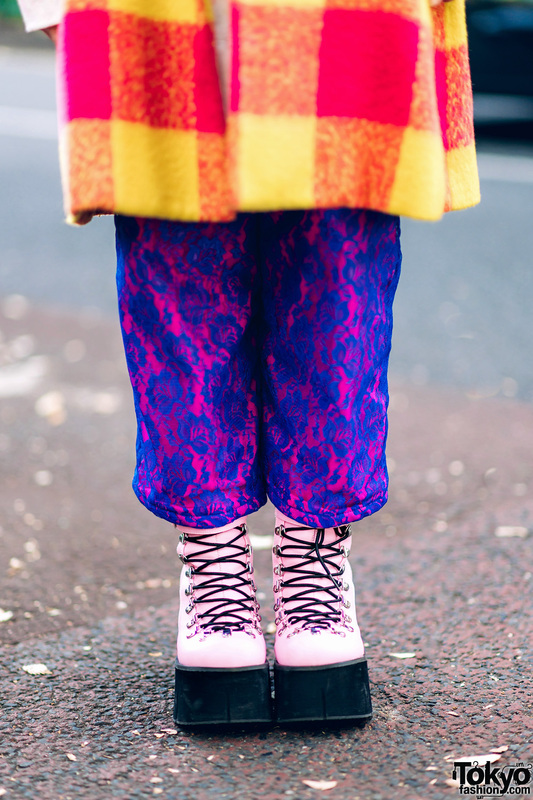 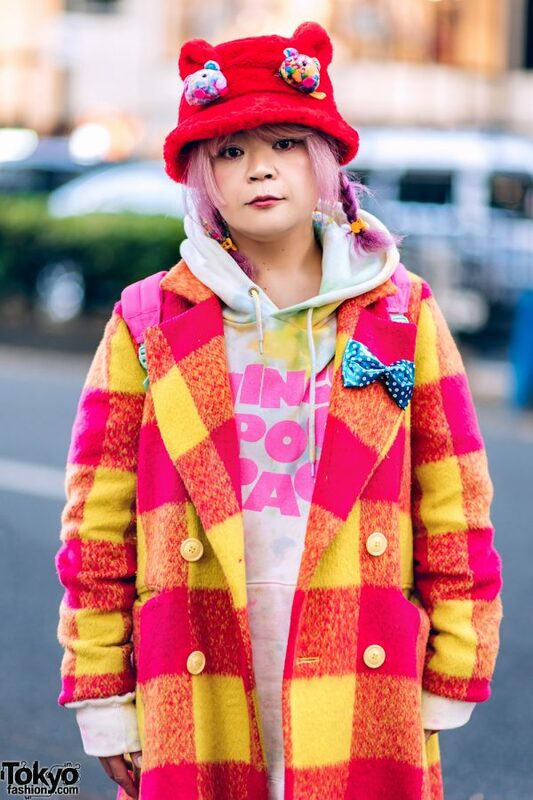 Meanwhile, Takako – sporting twin pink braids – is wearing a pink-and-yellow double-breasted shearling coat from Candy Stripper. 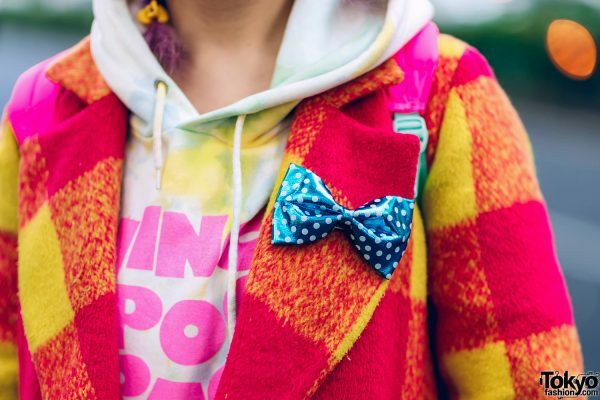 She wore a white printed hoodie sweater and paired her tops with pink pants with blue floral lace overlay, both of which are from Nincompoop Capacity. 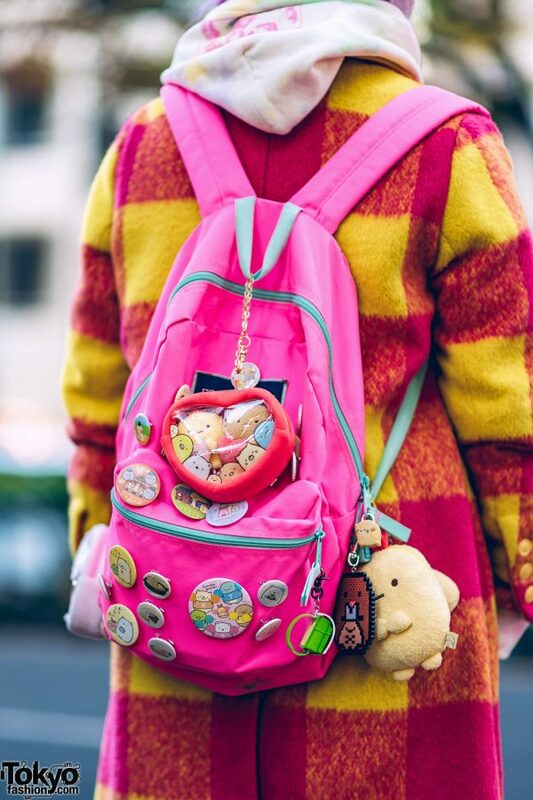 She finished off her look with pink-and-black platform boots from Demonia, a red furry bear ears hat with bear face plushies from Candy Stripper, yellow duck hair clips, a blue polka dot bow pinned at her coat lapel, and a pink backpack with multiple badges and plushie keychains. 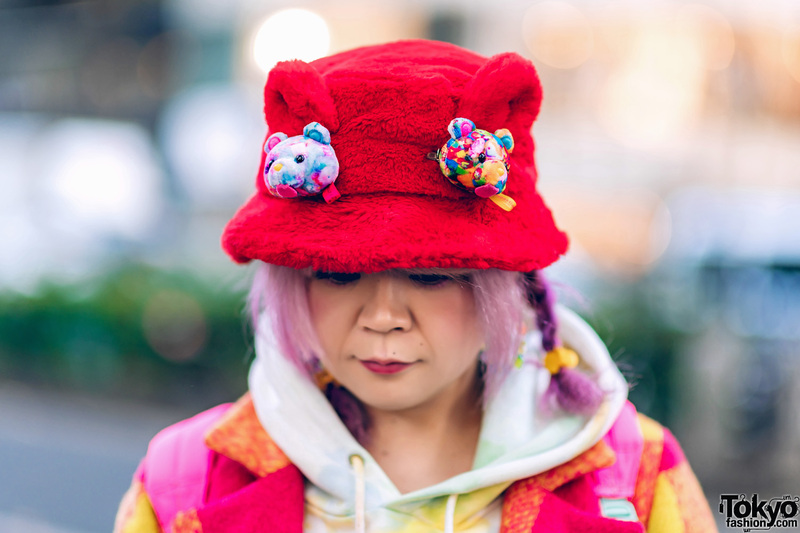 Takako is also active on Instagram, follow her!